W.A.B. are Drake Brenno (Drums&Vocals) and Aleksa Kaos (Guitar&Backings) was born with one goal: to be brutal. Disappointed with the current rock ‘n’ roll scene, Drake Brenno and Aleksa Kaos decided to form an authentic underground band, with influences such as Discharge, GG Allin or Celtic Frost. This video/song is part of the debut album "... and kill the worms"
Music is the soundtrack of their life. A life spent among amplifiers, drums and harsh vocals that each week shake the walls of a garage outside the city. There blossomed what they called “Brutal-Punk”, a harsh sound that mixes the simplicity of classic punk with the sheer power of metal. Between these walls they have independently recorded what will be their first album, to be launched in 2018. Hatred, violence, human alienation and attacks on the rock scene form the backbone of a visceral work. The DIY philosophy is a key issue for the band: as well as recording their own music, they design and make their own merchandise and organize their own tours, as part of their strict self-sufficiency ethos. 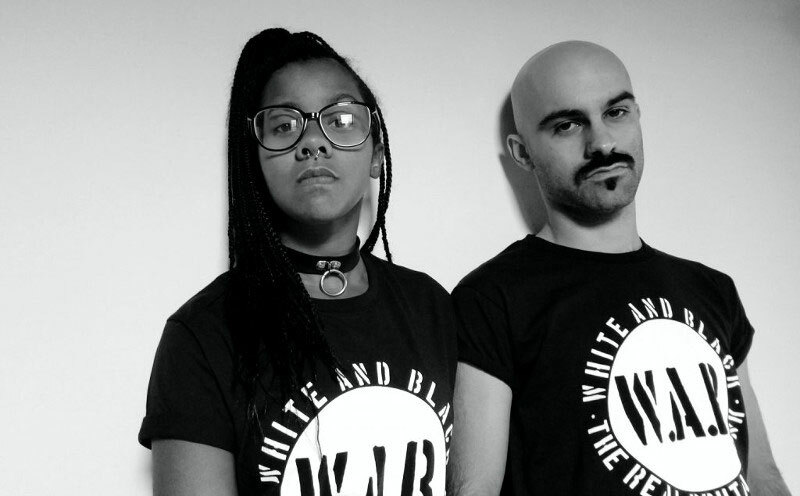 Defined as the “White Stripes of Punk Music”, their live performances are a sonic bulldozer of riffs, shouting and sweat that every day attracts more followers to the growing community of Wabbers. Rock ‘n’ roll thrives on the road and their duo format allows them to travel with total freedom. Their next objective is to tour around all Europe while also working on new material.